Not everyone has the time to drop by the gym and squeeze in a workout. As students, professionals, and members of society, we are engulfed by hectic schedules and deadlines. However, a research presented at the American Society of Clinical Oncology has the potential to change everything. 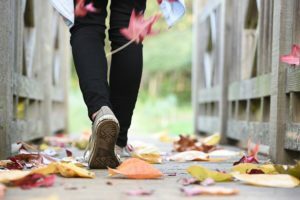 The Australian researchers claim that one of the greatest benefits of brisk walking daily is how it can add up to seven more years to our lifespan. Considering how long walks can help with clearing heads, calming nerves, and pacing thoughts, it is no wonder it can also lengthen lives. The benefits of walking seem so apparent that they are often forgotten. It is a great source of exercise that tones legs and sheds excess body fat without needing an exclusive gym membership. Boosts immunity. Walking for 30 to 45 minutes daily is found to increase the number of immune system cells present in the body. The levels of immunity boosters remain elevated for several hours after exercise and create a cumulative effect in protecting against illnesses over time. Curbs diabetes. Walking increases the number of insulin receptors our cells have. Insulin helps blood sugar move where it needs to go. Otherwise, it will just slosh around the bloodstream, gumming up the blood vessel walls. Regular walking helps control the progression of the disease. 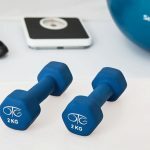 People who take insulin may be able to reduce their daily amount of medication since physical activity enables the body to use insulin more efficiently. Strengthens the heart. This excellent source of cardio reduces the risk of heart disease. It lowers the levels of bad cholesterol while increasing the levels of good cholesterol. The Stroke Association says that 30 minutes of walking can help prevent and control high blood pressures that cause strokes and reduce the risk by up to 27 percent. Prevents colon cancer. Engaging in this physical activity allows digestion to pick up the pace. Faster digestion reduces the amount of time our bowel lining and harmful chemicals are in contact. These harmful chemicals are released when you consume, for example, alcohol or red and processed meat. Walking daily can eliminate these cancer-causing properties. Makes You Happy. 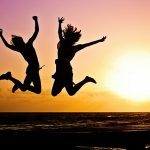 We all know that being happy is one of the most natural ways to stay healthy and live a longer life. But from a scientific basis, endorphins, a chemical that plays a large role in happiness, is a neurotransmitter in the brain that’s necessary for feelings of pleasure and happiness. It is the reason exercise makes us feel so alive. The only scary part is that they have a very similar and addictive behavior like heroin, morphine, and nicotine. The only difference is that endorphin is actually really good for us. They also lower stress levels, give bursts of energy, boosts confidence, and eases anxiety. These are merely a few of the renowned health benefits of walking. The next time you’re feeling down or unhealthy, get off the couch and take a few steps outside. Not only will you feel more confident, energized, and calm, you will also feel healthier and happier than ever.